Welcome to Protrain blogs. This is collection of writings of Protrain trainers/authors and associates. 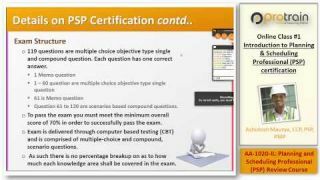 How to achieve "Planning and Scheduling Professional (PSP) Certification"
We know Time is Money. Time is one of the constraint of Project Management Triangle (also called Triple Constraint or the Iron Triangle). Timely completion is one of the criterion that defines success of a project. Planning and Scheduling is one of the key the knowledge area in Project Management of the Engineering, Construction and Project Management (ECPM). Applying Planning and Scheduling tools and techniques, if not guarantee, but for sure increases the probability of on-time project delivery. Being a mission critical role in ECPM projects, Planning and Scheduling professionals are paid higher than their same experience peers. In ECPM industry, Planning and Scheduling is sub-function in Project Controls. Project Controls encompasses, planning and controls of both time and cost. Planning and Scheduling function, however, in a typical ECPM project consists of project planning in term of construction methods & time, preparation of project baseline schedule & its approval, applying baseline updates, project performance measurement, and performing delay analysis, if needed. A proficient Planning and Scheduling professional should possess skills and knowledge in Project Management basics, Critical Path Methods (CPM), Earned Value Management (EVM) and related knowledge areas. With the ever increasing need to excel, companies around the globe are focusing on continued improvement their business and operation processes. To be competitive in the industry, both individuals and the corporations must be innovative. Innovation not only does provide a competitive edge to the organization, but also helps to retain employees and provide a sustainable future. For organizations, one of the ways to be innovative is by continuous skill improvement of their workforce. Professionals in any industry, including construction, must focus upon their professional development. For professionals, continued professional development provides better employment opportunities, higher salaries and creativity in their lives. Schedule is a tool that helps project team achieve project timely delivery objectives. For construction projects, it is common practice that a contractor is brought onboard. In this arrangement the Contract between the owner/employer and contractor becomes the pivotal tool that sets out obligation of either party, which includes the obligation of timely delivery of information, work front, and completed works. While Schedule remains the tool that help projects to achieve timely delivery objective, however, in the employer-contractor-contract setting, the role of the Schedule as a tool broadens from merely time control to the areas like delay analysis, cost and time claim, internal and external communication. ‘Project Delay’ is a term known to all the professionals in Engineering, Construction and Project Management (ECPM) industry, which is rightly so, as statistics and experience shows that up to 80% construction project fail to finish within the duration or completion dates specified in their construction contracts. Delayed project means additional cost to project stakeholders. For owner and end user the additional cost may be due to late realization of project benefit, for project sponsor due to financial charge, and for contractor due to cost of the additional resources for the extended time, there may be several other costs and theirs combinations to the individual stakeholders – however, the fact that remains at core is – ‘Project Delay’ cost dearly. Adding to this, the fact that makes delay issues complicated is while the delay may be caused by a party, other stakeholders suffers as well. Claims are an essential part of Engineering, Construction and Project Management (ECPM) day-to-day activities. It is probably impossible to imagine a project without a claim, if not, then a project wherein the claim situation never arose. Writing claim, reviewing and recommending is one of the functions of professionals in project controls and contract administration domains of ECPM industry. History of claim writing and recommendation goes back to dates when modern legal systems came into its existence. However, till date in the ECPM industry writing claim remains challenging. Ratio to claim submission and their approval in first time are very low. One of the reasons for this is due to incomplete claim submission and following wrong methodology while writing the claims. 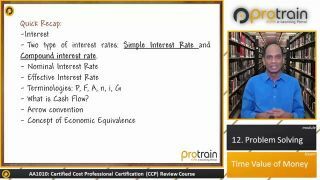 Earned Value Professional (EVP): Why you should strive for and achieve this certification? After Critical Path Method (CPM), Earned Value Management (EVM) is probably the most important and needed project management tool. In Engineering, Construction and Project Management (ECPM) world where the need to deliver project with the budget and timeframe is increasing forever, it will not be an exaggeration to say that EVM knowledge is a must have tool for all the ECPM professional – this is in spite of the fact that if you work for Project controls and Project Management department or not. Every day, every project faces questions from internal and external stakeholders like: Is project on schedule? How much money we have spent till date? Is project is still within the budget? If it not on budget, how much is budget overrun? Can we recover from current budget overrun? How much we need to spend more to complete the project? If not on schedule, how much we are behind? If project scope is managed effectively? Business means being profitable. Like any other business, one of the business objectives of any Engineering, Construction and Project Management (ECPM) enterprise or project is to be profitable. Effective cost management is the prime focus to let the business keep making a profit. Cost management in ECPM is more challenging than other businesses. This is due to the fact that the cost management in ECPM industry is not merely business economics, finance management, and accounting, but it also covers a knowledge domain of engineering and project management. This leads to rather a new discipline that encompasses knowledge areas of engineering, cost management, and project management together, with primarily focus on bottomline of an enterprise or a project. This discipline is Cost Engineering. "Cost engineering is the engineering practice devoted to the project cost management, involving such activities as estimating, cost control, cost forecasting, investment appraisal, and risk analysis." "Cost Engineers budget, plan, and monitor investment projects. They seek the optimum balance between cost, quality and time requirements." Certified Cost Professional (CCP) is a globally recognized certification in the field of Cost Engineering. This certification is administered by Association for the Advancement of Cost Engineering (AACE) International. 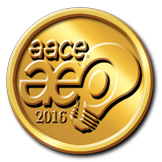 AACE International is US based nonprofit organization. They claim to be The authority of Total Cost Management™. Since 1956, AACE International has been the leading-edge professional society for cost estimators, cost engineers, schedulers, project managers, and project control specialists. PMP is probably the most recognised and sought after certification in the project management knowledge domain. Several thousand professional has been certified as project management professional (PMP) and other thousands are striving for it. Let me share my experience as a trainer, as well as a certified PMP, on how to acquire PMP certification in first try. Focus is one of the keys to achieve anything. Based on my experience as trainer I can tell you, the very low ratio of those who thought of obtaining PMP certification, to those who eventually succeed in obtaining PMP certification is mainly due to lack of focus. Say for example, 20 people think of taking PMP certification. Out of these 20, only half of them go for boot camps or take any online course to take 35 PDUs. Out of 10 those have taken the lecture or classes only two take the exam and generally both of them make it to PMP in first try or in rare case, at most two tries. Those who focused on the certification eventually acquired it.